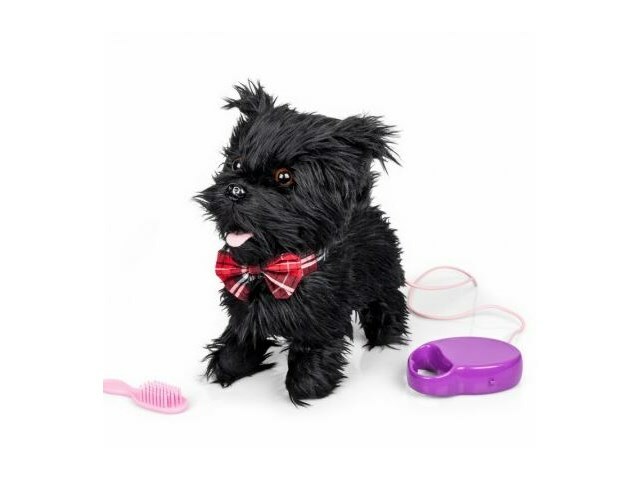 Scottie Dog is a delightful switch adapted Scottish Terrier who walks around the room yapping and wagging its tail like a real dog would. 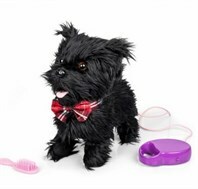 This charming and furry dog wears a checked black, red and white neck tie and is a great addition to a toy collection. Scottie Dog requires two switches to activate, press and hold the switches to set him off walking and yapping/tail wagging. Accepts any two 3.5mm switches (not included). Includes a purple lead and pink brush.